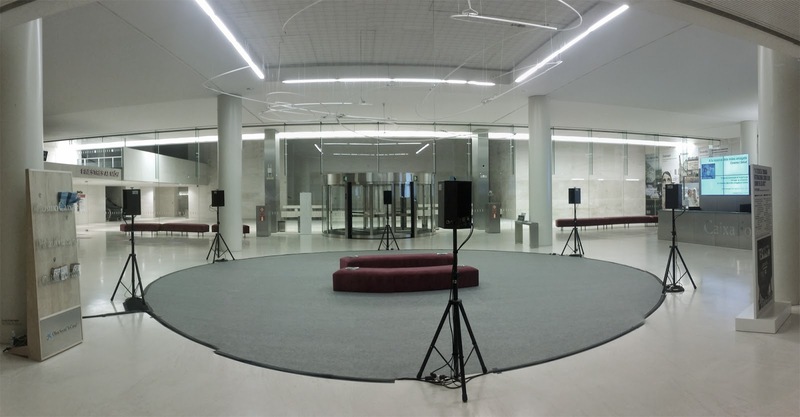 The sharp tones of the architectural structure's metal components (obtained using contact microphones) and the background noise of the construction work create a changing and elastic soundscape; the sound of area tha has now disappeared. The installation is an auditory memory of a road system that has died and fallen silent.It's graphic image es inspired on the famous photograph of 1976 of Max Neuhaus (1939- 2009) of the Brooklyn Bridge dedicated to Jo Jones, where you ca read in capital letters the word “LISTEN” (“LISTENING”). The photo is taken under the ring of Les Glòries. 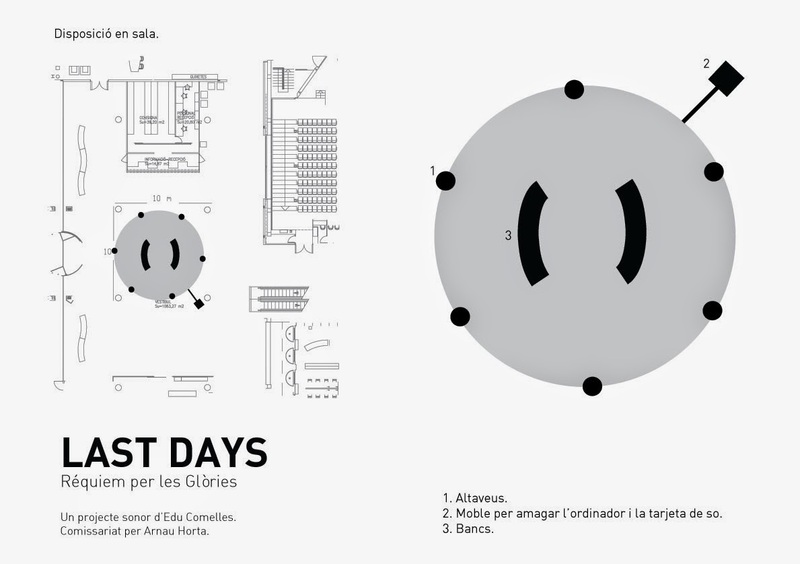 Thus the sound installation of Edu Comelles plays a tribute to this pioneer of sound art in the 75th anniversary of his birth. El Arte de Escuchar. Roberta Bosco. El País. 13/06/14. A la escucha en el Caixaforum. Redacción. Blisstopic. Junio 2014. Caixaforum abre un simposio sobre el nuevo arte sonoro contemporaneo. La Vanguardia. 10/06/14. Propostes Audiovisuals del Sónar. Rac 1. Via Lliure. 08/06/14.